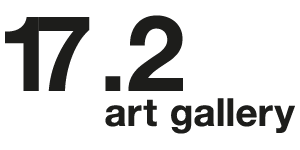 Pagina 2 – modern and contemporary art. New invites… coming on Monday! Continue Reading "GASTRONOMIA / GASTRONOMY"
Spoiler n°3: Eat art gallery. Sometimes we like it extreme 🌪 . (any child was abused for this artwork). . UGO DOSSI – Eat art gallery, 1971. Continue Reading "Spoiler n°3: Eat art gallery"
Continue Reading "SURPRISE EVENT ON 02-12-2018"